The charter season in Greece begins in late March/early April through October. In some instances you'll be able to get a yacht outside of those dates, but there's a reason why the season is set up at the times it is. The weather in Greece gets very unpredictable in the winter. There can be raging storms, beautiful warm days and anything in-between. That makes for risky chartering as you don't want to spend most of your time sitting in a port waiting out a storm! Most charters run from Saturday to Saturday. Sometimes the Skipper/Owners will offer other dates and some cabin charters start on other dates, but by and large Saturday to Saturday is the rule of thumb!! 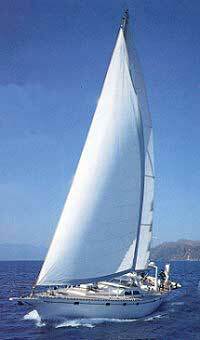 If you want a week of sailing, to get the most economical rate make sure you have two Saturdays in Greece! In terms of cost, the yachting industry breaks up it's season into different rate groups(this applies mostly to bareboat and skipper/owners). As a general rule the most expensive time to charter is July/August with early spring and fall being more of a "discount" time. If you're traveling with school age children or can only travel in the summer than you won't be able to take advantage of the lower rates, but it's still a great time to sail(which is why the rates are so high in the summer). The weather will be warm and you will be able to meet lots of other people from all over the world, who are either chartering or in the ports that you are visiting. The one huge advantage you'll have over the other travels who are not on yachts is that you will be able to visit the out of the way spots that are harder to get to, so you can avoid the crowds if you choose. The spring and fall will be less crowded, a little cooler with lower rates and usually lower air fare to get there. The weather is generally pretty good although it can get windy and rough, but usually not something that a small yacht can't handle.